Welcome to the bitti d’lish nappy system, the gorgeous new range from the nappy innovators, itti bitti. Featuring the fantastic ultra trim itti bitti fit, bitti d’lish nappies have an incredibly soft outer waterproof layer, a stay dry inner of super soft suedecloth and customizable snap in absorbency. Another clever feature of the bitti d’lish nappies, is the ability to add extra absorbency when it is needed, with the itti bitti snap on mini-boosters. These boosters are colour coded so you know exactly where they go and can even be snapped with a single snap and folded towards the front for greater boosting versatility – handy for boys and tummy sleepers. Most bubs will be fine with the standard absorbency, but for those big wetters that need a little extra to last the distance and for times you think the nappy may be on longer than normal, the mini boosters are fantastic. Best thing is that they will usually stay on during the wash, so you don’t need to worry about snapping them back on after every wash – you may want to unsnap one side to aid drying time however. itti bitti snap on mini boosters come in bamboo or microfibre so you can choose natural or man-made fibres. 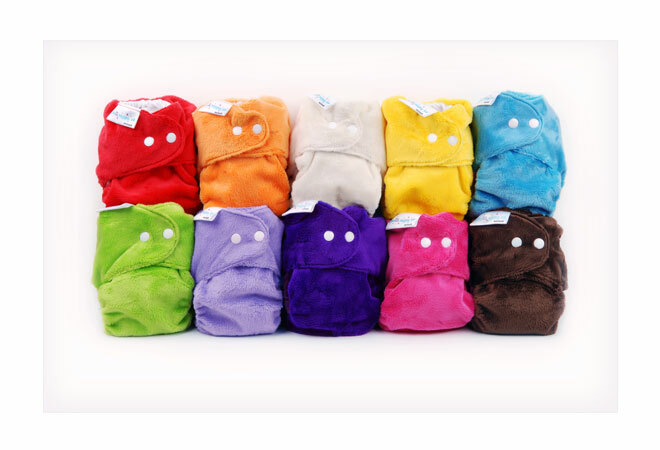 A rainbow of bright bitti d’lish colours means you can have a nappy to suit every outfit. Even with just a nappy and singlet in summer your bub will be looking stylish. bitti d’lish nappies are made from the highest quality fabrics and come with a six month workmanship guarantee so you can shop with confidence. Meaning you can choose the bitti d'lish nappy to best suit your lifestyle and your bubba’s needs. Go cloth, go itti bitti! Click the button below to add the Itti Bitti D`Lish Snap in One to your wish list.